There’s a real ease to online shopping but there’s also something special about stepping into brick-and-mortar stores. Not only do you get to see the products in person, you get to put your money behind businesses you want to support. All year long, we virtually visited smaller, design-focused shops that support hard-to-find brands and up-and-coming designers, which is why we like to share them in our monthly Design Store(y) column. Take a look back at the independent stores we featured throughout 2018. 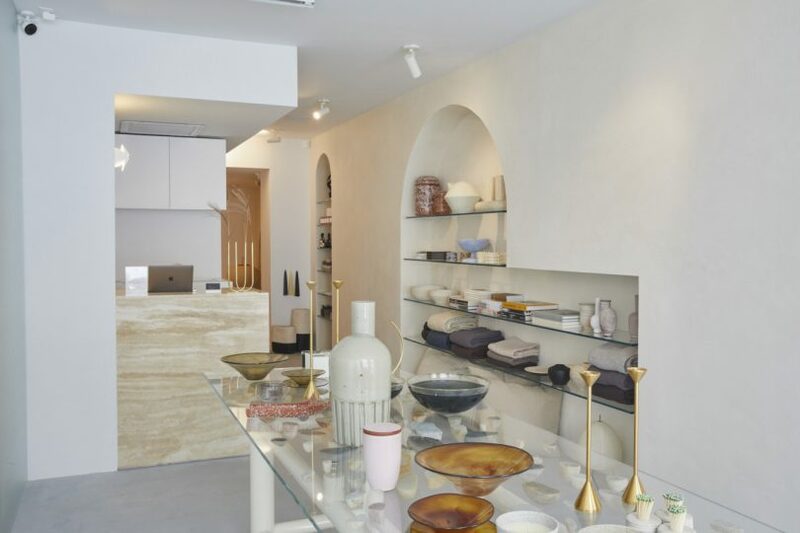 The Primary Essentials is a one-stop shop in Brooklyn that’s the only place you need for finding items for your home that you won’t find easily elsewhere. Converso opened its first-ever West Coast showroom and the haven for design lovers exhibits one-of-a-kind works by the likes of Isamu Noguchi, Wendell Castle and more. When Knoll announced that it was opening its first ever Home Design Shop in Los Angeles, we knew we had to fill up the tank and make the drive out to see the store ASAP.